We're all constantly looking for the next best way of purchasing or selling Bitcoins. We want a wide range of available payment methods, top security, bordering with complete anonymity, lean and smooth service and, most importantly, no scams. Today, we're introducing one of those services, meeting all the criteria mentioned above and bringing low fees and no-limit trading to the table. 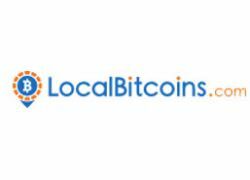 Read all about LocalBitcoins and their impressive exchange service in this objective LocalBitcoins review. LocalBitcoins is a global P2P Bitcoin exchange service, gathering buyers and sellers from all over the globe, enabling them to perform quick online or face-to-face transactions. This is achieved by matching people who live close to each other and even providing an escrow service to ensure fairness for all the participants in the transaction. The company was founded in 2012, making it one of the oldest Bitcoin exchanges on the market. The original founder was a programmer and entrepreneur, Jeremiah Kangas, while their current CEO is Nikolaus Kangas. LocalBitcoins is stationed in Helsinki, Finland, and it’s currently operating in 248 countries and 13774 cities. LocalBitcoins doesn’t feature a typical brokerage model. Instead, it’s based on P2P networking, connecting the buyers with the sellers in their local areas. The traders can post advertisements on the LocalBitcoins platform and state accepted payment methods and exchange rates for buying or selling Bitcoin. Interested parties can then reply to those ads and arrange a meeting with the trader, online or in person. Note that escrow is automatically enabled for online trades, but not for local ones. The company features a feedback mechanism and a reputation system in order to help its members distinguish scammers from legit traders. Furthermore, the platform also provides escrow and conflict-resolution services in order to establish good faith between all parties involved and help them overcome potential misunderstandings. The number one mistake inexperienced buyers will make is deciding on a particular seller based solely on affordable pricing. As you can see, the price doesn’t play any role in determining whether we’re dealing with a scammer or not. Buying ads attract scammers beyond anything else, so you should refrain from posting them. Never send payment info outside the exchange. Don’t be alarmed if you’re just starting out and some of the established traders refuse to sell their cryptocurrency to you or require to see you ID beforehand. LocalBitcoins is not your traditional exchange platform and, therefore, doesn’t support futures or derivatives trading. It also doesn’t incorporate short selling, margin trading, and other similar options. It’s available worldwide, excluding Germany and the state of New York. All the potential disputes will be resolved by the support staff, evaluating payment evidence, terms of trade, user reputation, trade chat messages, and other submitted data. LocalBitcoins doesn’t impose any limitations on its users and leaves them free to establish their own limits and prices. Registering your account, as well as selling and buying Bitcoin, is absolutely free. There is a 1% fee for every trade completed, but this amount is only charged if you’ve created advertisements. Many reviewers get this wrong, stating that LocalBitcoins features a flat 1% trading fee. Transactions between the wallets of LocalBitcoins users is also free, but transferring Bitcoin to other wallets is subject to transaction fees establishes by the Bitcoin network. The usage of LocalBitcoins merchant invoicing services incurs a 0.5% fee. Custom work of any kind (for example, external problems research) is billed 200 EUR/hour, paid in Bitcoin, following the ongoing market rate. 200 EUR is the minimum billable amount. Security is the top priority with Bitcoin exchange models such as LocalBitcoins. On their part, they’ve implemented an HTTPS protocol and simple phishing protection. On the other hand, protection from potential scammers is in your hands. Two-factor authentication – Enabling this option on your account will render your password useless without the provided backup codes. It’s a feature that prevents people from logging into your account after obtaining your password. Login guard – This feature is automatically enabled for new users. It detects unknown browsers and asks you for confirmation whenever a suspicious login is identified. Strong password – This one goes without saying. Also, do not give your password to anybody or use the same one on several different sites. If somebody does hack your account, you should contact user support and open up a support ticket right away. LocalBitcoins doesn’t require your ID in order for you to successfully register and create an account. Note that serious traders will definitely ask for your ID before you’ve built up a meaningful reputation. LocalBitcoins features a highly professional support staff, available 24/7 through e-mail. This fact is especially beneficial if you need to open up a support ticket outside regular working hours. Our LocalBitcoins review explored all the relevant company features and revealed a sturdy and efficient Bitcoin exchange service. If you want to purchase or sell smaller amounts of Bitcoin privately and securely, LocalBitcoins is a perfect choice. The fees are low, the procedure is sleek and fast, and the security on the company’s part is excellent. On the other hand, if you’re exploring the market for larger sums of Bitcoin, this company may not be the right choice for you. Everything was easy as pie, I had my btcs about an hours after the seller released them. Really cheap service and one hell of a customer support. I was scammed so hard! The company refunded the intial amount I paid, so kudos to them, but you have to be very careful who you’re dealing with on the site. Yeah, they really don’t ask your id but every respectable trader will.